Take our music! Stream it! Download it! For free! (MP3) (WAV) (FLAC) Play it loud and often! Find and follow Spidercatmonkey on Spotify! Add our Track to some of your playlists! 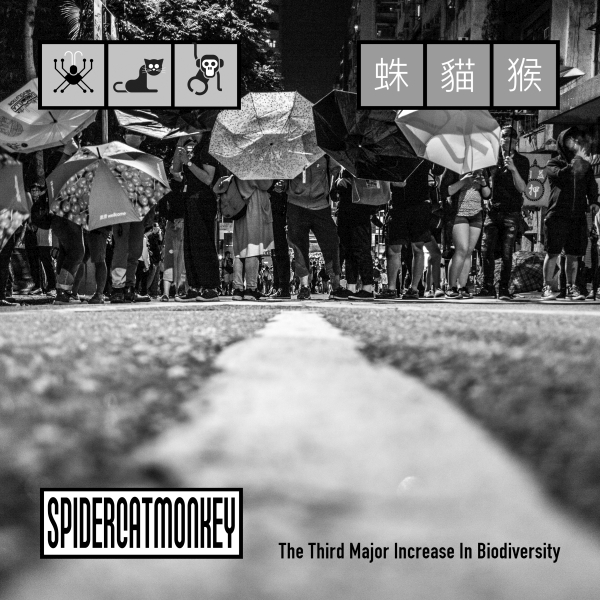 Find Spidercatmonkey on Amazon (US) (UK) (DE), at Apple Music/iTunes, at Google Play Music, at Yandex or at KKbox. If you like, write some reviews and give us some stars! (You can even buy our music there, resulting in some coins in our pockets.) Oh, we are on Youtube too! Buy a shirt, a cap, a hat, a mug or other nice things at our merchandising store! WE ARE SPIDERCATMONKEY! WE ARE ONE!